It probably wasn’t the smartest idea. Professor M had to fiddle with the camera settings quite a bit to get the white balance right, and half of the pictures still turned out somewhat overexposed, with weird shadows on my face. Add time pressure into the mix, and this is what you get. But you know what, I sort of like them. Yes, you can see it was a really bright day, and the shadows on my face are odd… What I mean is, I like the atmosphere in these photos. 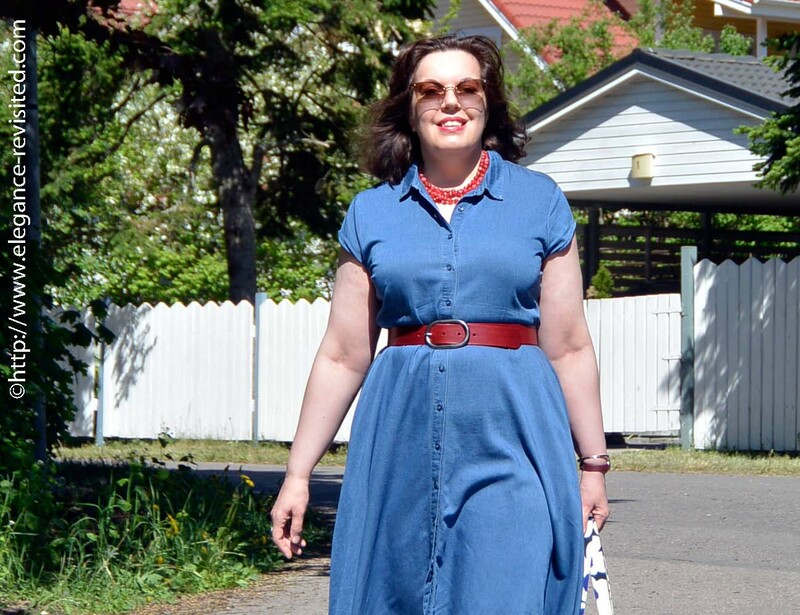 I’ve featured this dress on the blog many, many times already… And I probably will feature it again, this summer and the next one. Because it’s a classic. The dress, I mean. It’s a classic because it doesn’t date; it always looks good. And it can be accessorised endlessly. And it’s a very flattering style for me. It’s my go-to dress for days when I don’t know what to wear. Every woman needs at least one dress like that. And this last photo, then? Do you have a go-to dress? Thanks, Greetje.That's a good idea, duplicating the dress. I agree your photos turned out rather well despite the bright light. Your dress is a winner , I can see why it it a favourite. 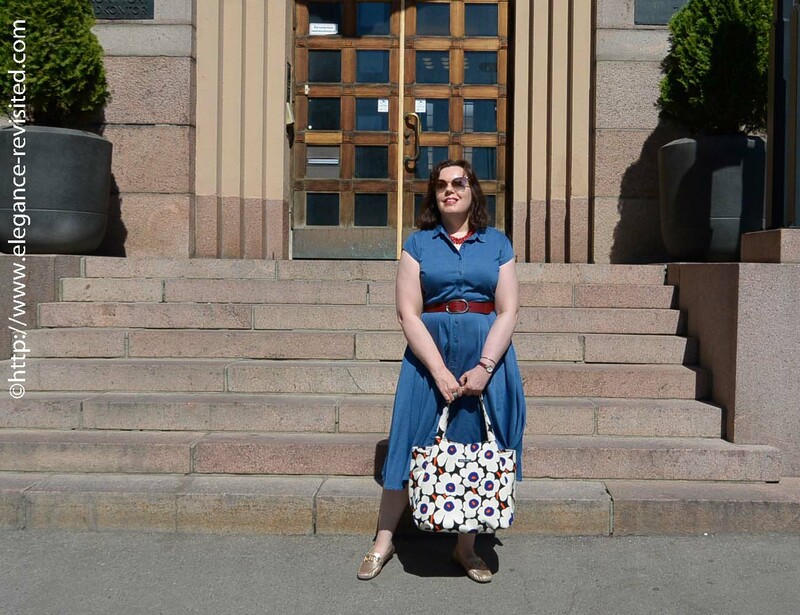 The Marimekko bag is so colourful. Thanks, Jill. This dress can be dressed up or down, and accessorized endlessly. Yes, it's a winner, for sure. Yes, real life. But that's why we read blogs, right? We get real life instead of perfect, and it still works.Thanks, Jodie. So cute and so classic! What a gorgeous dress! Thank you.Yes, spontaneous is better. We always take a lot of photos, sometimes in several locations. And I usually like the first batch best. It can be tricky taking pic is the summer because of the sun. I think yours are very lovely and natural. 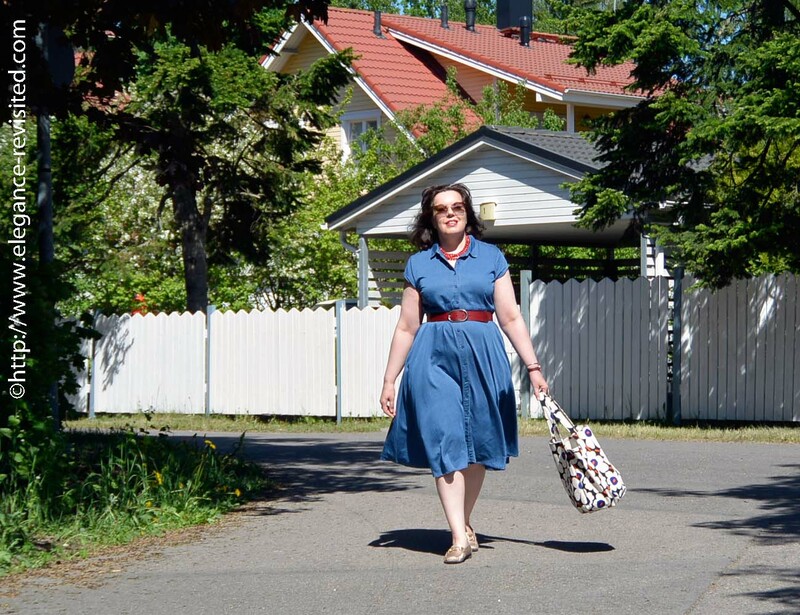 i love your classic dress on you and your floral bag is a nice touch!jess xxthanks for linking! Thanks, Jessica.Sunshine can be a challenge, for sure. I usually try to find a shady spot to take photos, but it's not always possible. what a great dress though, and bright sun is better than rain right? 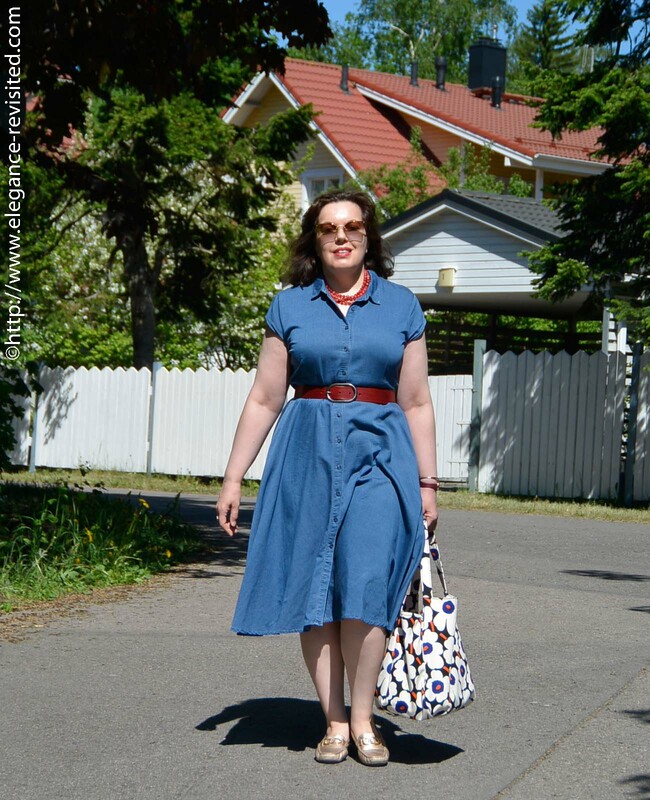 Don't forget to come link up over at A Labour of Fashion my Thursday Link up. Oh yes, sunshine beats rain, for sure.Thanks, Linda. Always put a shirt dress on my list of core closet items to own for just the reasons you stated. Such a pretty and classic look! Thank you, Elizabeth! Shirt dresses are so practical, one-stop dressing at its best.